As a painter and tapestry designer, Maillol was a significant member of the Nabis group, together with Edouard Vuillard, Maurice Denis and Pierre Bonnard. An eye disease in 1900 forced him to give up painting, whereupon Maillol began to focus on sculpture. He chose to depict the female form removed from a narrative and historical context, concentrating instead on its natural loveliness and sensuality. Drawing was an important daily activity for the artist and he relied upon it to develop his ideas. He would fill “one notebook every month” with sketches of the female figure in a range of poses, to explore form and movement. Maillol was inspired by Archaic Greek sculpture, admiring what he perceived as an “art of synthesis” in its homogeneity. 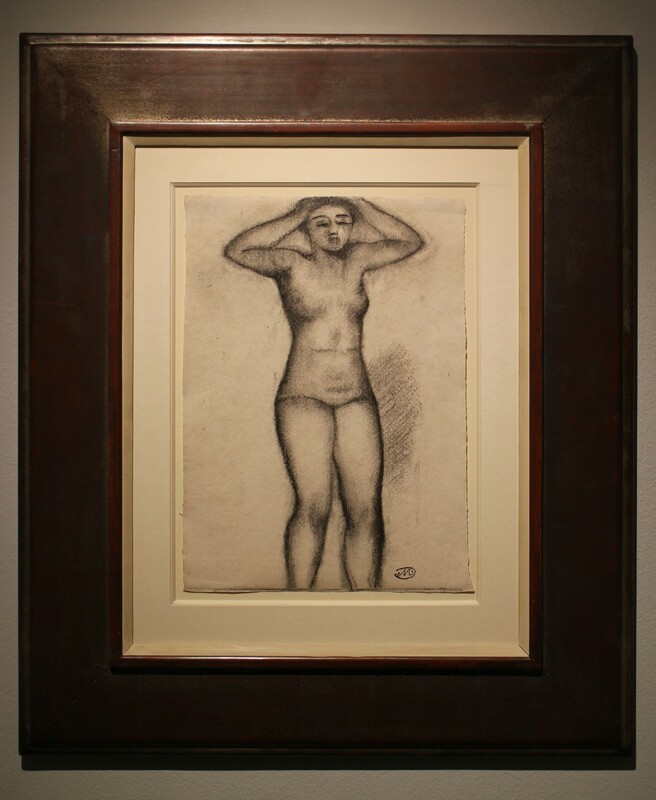 Taking these forms as a model, Maillol aimed to achieve a simplification and sense of balance in his drawing and sculpture to create an image of the essence of the female form. In this way Maillol can be seen as the precursor to the great modernist sculptors of the twentieth century, such as Constantin Brancusi and Henry Moore. 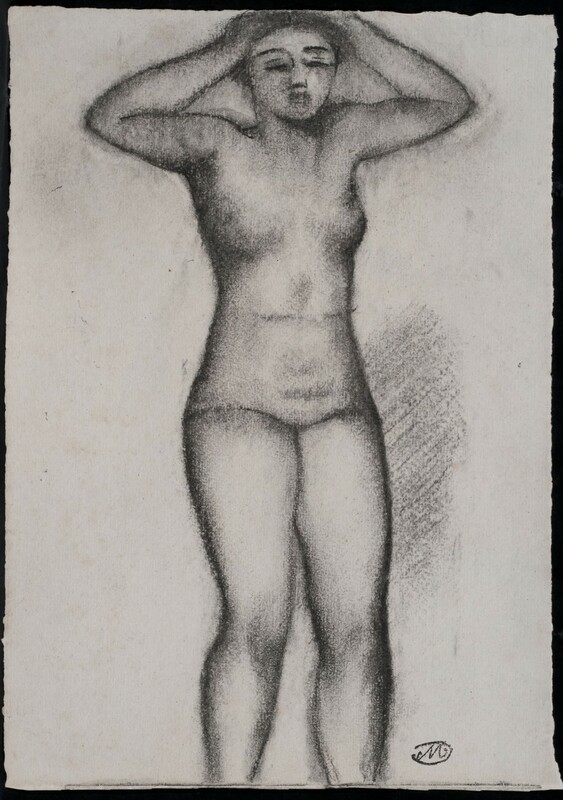 Whilst his sculpture took on a fairly limited number of poses, in his drawing Maillol explored the whole range of the human body’s positions and gestures. Like Degas, he sought to represent the female anatomy in its most simple and natural poses, such as the present work which depicts a female lifting her arms as if to arrange her hair. However, unlike the realism of Degas, which was based upon observation using photography, here Maillol evokes a sense of softness and volume, to present a more eternal image of femininity. As Pierre du Colombier wrote in his 1941 book on Maillol, “everything becomes soft and round, the contours as well as the internal drawing. They are inseparable as a matter of fact, since the first are merely the second extending to the surface”.